It’s getting so festive all over Leicestershire now and we are loving the chance to visit all the homes and offices of our happy customers to enjoy the stunning decorations and great excitement that is building. Over the colder months it’s important to ensure that everything is running well with your plumbing and heating systems as it’s around this time when they are used the most and any problems that might be lying in wait are more likely to rear their ugly heads. During the holidays, the only surprises we want to be waking up to on Christmas morning are the good kind and not the worst, such as no hot water or heating, so keeping up to date with servicing and repairs is always a good move! If you need a plumber over the next few weeks, please be aware that we will be closed over the Christmas period from December 23 at 4.30pm right through to January 3 at 9am. 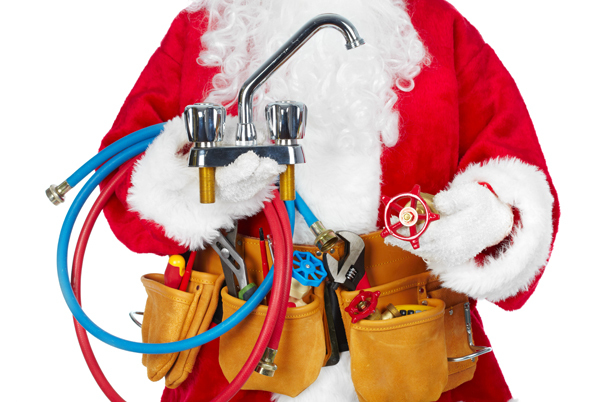 There’s still time to get any plumbing or heating jobs booked in before our Christmas holiday closing date though! We cannot wait to put our feet up for a few days, catch up with friends and family and get stuck into the mulled wine and Quality Streets over Christmas – just got to get the shopping sorted first! It’s been a wonderful year for us, catching up with some of our regular customers and visiting new ones from across Loughborough and the surrounding areas, to help with a whole variety of heating and plumbing issues. With safety at the heart of everything we do, we’ve covered a wide range of jobs, big and small, from fixing a leaking tap or boiler repairs, to the installation of complete bathrooms and central heating systems, as well whole house plumbing for new builds and renovations. So, thank you to all of our customers this year, who have made the job so interesting and fun! We hope that all of our friends, colleagues and customers have some wonderful plans coming up for Christmas and New Year and will be making the most of what has to be one of the nicest bits of the calendar. So, to everyone a very Merry Christmas, Happy New Year and we can’t wait to catch up in 2017!